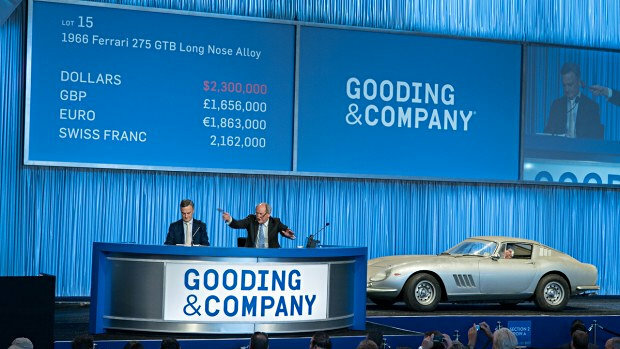 A garage-find 1966 Ferrari 275 GTB Long Nose Alloy sold for $2,530,000 as the top result at the Gooding Amelia Island 2018 classic car auction. 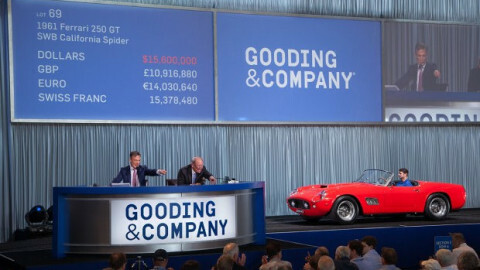 The Gooding Amelia Island 2018 sale was dominated by Porsches but the top two results were for Ferraris: a garage-find 1966 Ferrari 275 GTB Long Nose Alloy sold for $2,530,000 while a 2003 Ferrari Enzo achieved $2,365,000. The revolutionary 1974 Porsche 911 RSR 2.1 Turbo failed to sell despite the auction’s highest bid of $5.4 million leaving the low-mileage 1993 Porsche 964 Turbo S Leichtbau at $1,760,000 as the top Porsche result. Although the top two lots failed to sell, Gooding had a great Amelia Island classic car auction with a sell-through rate of 94% and 14 cars achieving million-dollar results. Gooding & Company’s traditional Amelia Island Auction was held on March 9, 2018, at the Omni Amelia Island Plantation, Amelia Island, Florida, USA. In 2018, Gooding earned $35.5 million with a high 94% sell through rate – 81 of 86 lots were sold but unfortunately, the unsold lots included the two most-expensive cars in the sale. The average price was $438,818. In 2017, Gooding gained $30,568,700 with a sell through rate of 78% with 69 of 88 lots offered sold. The average price was $443,025. However, Gooding earned a record $60 million at Amelia Island in 2016, when the sell-through rate was 87% with an average price of $871,915 per car sold. 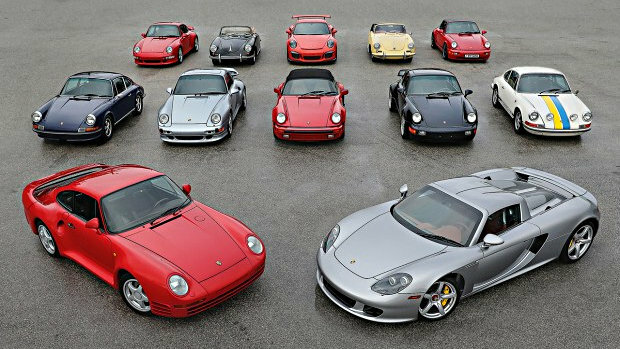 The 2016 sale memorably included 14 Porsches from the Jerry Seinfeld Collection. Note: Prices include premium. Some deals were post-hammer but included in first results announced the day after the auction. Unsuccessful highest bids as reported by Hagerty. The top two results at the Gooding Amelia Island 2018 classic car auctions were for Ferraris despite the top rated 1956 Ferrari 410 Superamerica Series 1 Coupe failing to sell with a highest bid of $3,900,000. 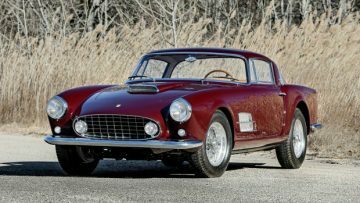 This bid was probably a near miss as the Ferrari was offered post-auction for sale with an asking price of $4,400,000. The car is one of only 12 Ferrari 410 Superamerica Series 1 Coupes with bodywork by Pinin Farina. 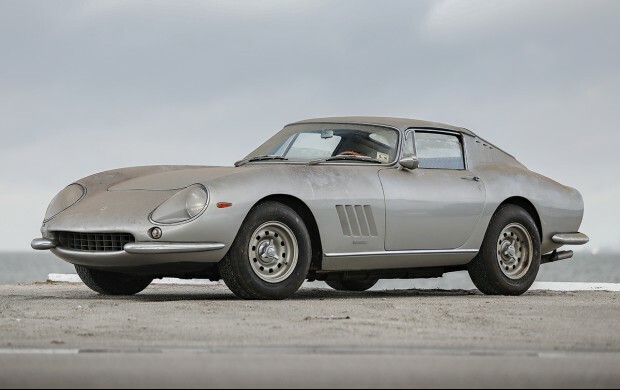 The top result at the Gooding Amelia Island 2018 classic car auction was $2,530,000 paid for the garage-find 1966 Ferrari 275 GTB Long Nose Alloy. This was the highest result of all auctions during the Amelia Island 2018 auctions week but only just inside the presale estimate. This 1966 Ferrari 275 GTB Long Nose Alloy was parked in an American garage for 27 years with the car, together with several others including a Cobra sold one lot later, covered in a thick coating of dust. This car is one of only 80 aluminum-bodied 275 GTB Long Nose cars produced by Scaglietti. The result was fair but hinted that the market’s fascination with garage finds may be over and that the costs of bringing such vehicles back to the road are factored in when bidding. The top result at RM Sotheby’s Amelia Island 2018 was also for a Ferrari 275 GTB – a steel-bodied car but in good condition. Gooding’s second highest result at Amelia Island 2018 was $2,365,000 for a 2003 Ferrari Enzo. It was the only modern Ferrari supercar offered at any of the Amelia Island auctions this year. This Ferrari Enzo spent most of its life in Japan and has covered only 1,600 miles since new. It was federalized for use in the USA. 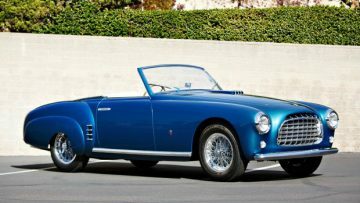 The third million-dollar Ferrari result at Gooding Amelia Island 2018 was $1,600,000 for a 1952 Ferrari 212 Europa Cabriolet – an auction model record. This elegant car is one of only two produced by Ghia and was displayed at the Geneva and Turin auto shows. This Ferrari 212 also spend around four decades forgotten in a garage but was restored after 2011. It was re-united with its original engine – a Corvette V8 was fitted during the 1960s. The restored car was shown at Pebble Beach 2017 and received a Platinum Award at the Cavallino Classic in January 2018. Porsches traditionally perform well at Amelia Island and Gooding took a calculated risk by having more than 40% of the lots on offer as Porsches. Three top Porsches failed to sell but others performed very well. 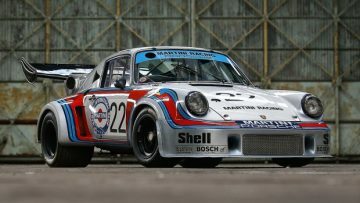 The headline Porsche – the revolutionary 1974 Porsche 911 RSR 2.1 Turbo, chassis R13, estimate $6,000,000 – $8,000,000 – failed to sell with the highest bid of the auction week of $5.4 million. This car was the first turbocharged Porsche to participate at Le Mans and finished second overall at the 1974 Le Mans 24 Hours. It was not offered for sale after the auction so the owner presumably was hoping for significantly more than lower estimate. The top Porsche result at the Gooding Amelia Island 2018 was $1,760,000 for a 1993 Porsche 964 Turbo S Leichtbau – an auction model record. This car is one of only 86 made and has covered only 100 km since new. 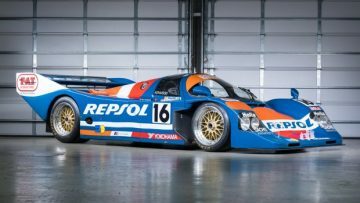 The 1990 Porsche 962C sold for $1,595,000 as the top racing Porsche result at the Amelia Island 2018 auctions. This car was campaigned by the Swiss Brun Motorsport team. The Porsche 962C started the 1990 Le Mans 24 Hours race from the front row and was leading when engine failure knocked it out of the race with only 15 minutes to go. It finished the third highest number of laps but rules at the time excluded cars from classification if not running after 24 hours. The Porsche participated in Le Mans in 1991 as well but again failed to finish. A 2015 Porsche 918 Spyder sold for $1,540,000. Although well within estimate, the result confirmed that 918 prices are softer than in 2017. It has 2,500 miles on the clock – significantly more than some other examples that achieved higher results at auctions in 2017. A 1996 Porsche 993 GT2 sold for $1,485,000. It is one of only 194 road-legal version built but is not allowed on the road in the USA and will require a show / display permit if kept in the USA. It has covered only 9,700 km from new. A 1976 Porsche 934 sold for $1,320,000 at the Gooding Amelia Island 2018 – another auction model record. This car is one of only 31 Porsche 934 cars built. It has an impressive in-period racing history that included winning the 1978 FIA Group 4 Championship. It was also campaigned at Sebring Daytona and Watkins Glen. It is presented in its original color scheme of light yellow. The 1987 Porsche Komfort sold for a relatively strong $1,100,000 – helped by original condition and low mileage. This 959 was originally acquired by the Matsuda Porsche Museum of Japan but has been in the USA since 2000 with the necessary California and federal emission requirements. It has covered only 7,400 km since new. The Porsche 959 is finished in a rare red burgundy over gray tri-color cloth. The 2005 Porsche Carrera GT at Gooding Amelia Island 2018 sold for a very strong $918,500 but still missed out on the elusive million-dollar mark that Mecum achieved three times at Monterey auctions on this model. This 918 was a single-owner car with only 109 miles on the clock. The top result for an American car at the Amelia Island 2018 auctions was $1,925,00 for a 1967 Ford GT40 Mk IV, chassis J-12. This was the final of only 12 Mark IV chassis built. It was sold as a bare tub by Ford around 1970 and remained as such until Rod Leach had it rebuilt with period spares and a correct 427 Ford engine in the mid-1980s. It comes with a FIA Historic Technical Passport, which makes the car eligible for FIA-sanctioned historic motor sport events. A dust-covered 1967 Shelby 427 Cobra sold for $1,045,000. 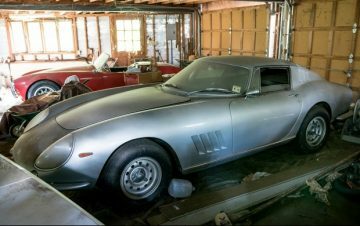 This car was a garage-find car that spent decades in the same garage as the 1966 Ferrari 275 GTB Long Nose Alloy that sold just one lot earlier. Although dusty, the Cobra is largely unmolested in a very original condition. It has covered only 18,000 miles since new. 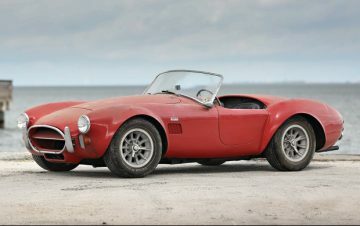 The comprehensively restored 1966 Shelby 427 Cobra sold for a stronger $1,457,500 to confirm that the market’s fascination with garage finds may be over. This Cobra has covered only 30,000 miles since new. A 1964 Shelby 289 Cobra sold for $1,045,000 – a good result for a later production car with rack and pinion steering. It is fully restored and presented in its original color scheme. After offering five Mercedes Benz 300 SLs at Scottsdale, and selling four, Gooding scaled down and offered only one 1958 Mercedes Benz 300 SL Roadster at Amelia Island. It sold within estimate for $1,072,500. This Roadster was one of 324 examples built in 1958. It was comprehensively restored in 2015 at an expense of nearly $200,000. Gooding’s next classic car auction is Pebble Beach during Monterey Week end August 2018 in California, USA. See also: Amelia Island 2018 Auction Results Overview and RM Sotheby’s Results.